Can Atrial Fibrillation (AF or Afib) Be Cured? Home | Can Atrial Fibrillation Be Cured? While medications and electrical cardioversion are common for atrial fibrillation treatment, they don't cure afib. There are two major approaches to consider if medications aren't working for you. Catheter ablation and surgical maze procedures cure atrial fibrillation for many patients. Follow the links below to learn about catheter ablation and the three surgical maze procedures, including what to expect and the risks and success rates of each. Catheter ablation is done by an electrophysiologist (a cardiologist specializing in heart rhythms) in the electrophysiology (EP) lab. A catheter-based energy source is inserted through the groin, neck, or arm and threaded to the heart, where it scars the tissue. This is the least invasive of these procedures. Cox maze (III) procedure is an open-heart surgery done by a cardiothoracic surgeon using a "cut-and-sew" procedure to scar the tissue. It is considered the gold standard for curing atrial fibrillation, but is very complicated and rarely done today and has thus given way to the two procedures below. Maze procedure is a surgical ablation done by a cardiothoracic surgeon. It uses the same open-heart procedure as Cox maze III, but uses an energy source to scar the tissue. It is typically combined with other heart surgery. Mini maze procedure is a minimally-invasive surgical ablation that uses an energy source to scar the tissue. It doesn't require opening the chest, so it has a shorter recovery time. It is less invasive than the other surgery options, and is slightly more invasive than catheter ablation. Having both the electrophysiologist and the surgeon collaborate in the operating suite has led to the latest trend, the hybrid ablation procedure. It incorporates both catheter ablation and a mini maze procedure in a single operation, so it is important to know about both types of atrial fibrillation treatments in order to find the procedure that is right for you. Mellanie True Hills, our founder, shares her experiences with the mini maze procedure here at StopAfib.org. We also want to thank the many folks who have shared their experiences with various procedures to help us write about them. Please share your experiences with us at our StopAfib Discussion Forum, where you can help others and join into the conversations. While you may also share them with us privately at Contact Us, the discussion forum is best. 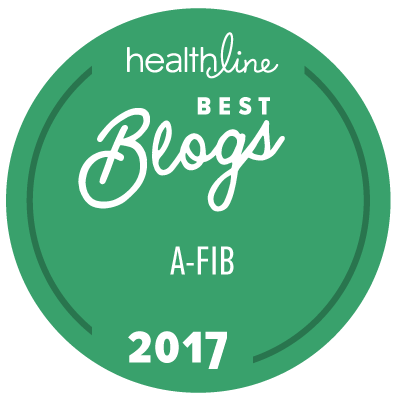 The goal for this "patient-to-patient" site is to give you, the afib patient, information to make informed decisions regarding your life and your health. To learn more about afib procedures, see Catheter ablation, Cox maze (III) procedure, Maze procedure, or Mini maze procedure.